SMEXINDIA, a division of SMEXASEAN, is an online market place owned and operated by SRAM & MRAM TECHNOLOGIES AND RESOURCES LIMITED, UNITED KINGDOM, from its branch offices in Cambodia. 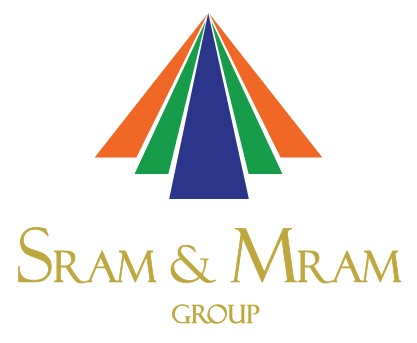 SRAM & MRAM Group, a leading international conglomerate with footprints across 5 continents and 12 countries has pioneered the concept of a market place for the SME sectors across the globe. SMEXASEAN, is an online market place for SME’s in the ASEAN region. Coming on the heels of SMEXASEAN is SMEXINDIA specifically tailormade for the Indian SME Sector. SMEXASEAN has been launched in India after being rechristened as SMEXINDIA with the Indian SME Sector in Mind with the help of Dr.Sailesh Lachu Hiranandani, Chairman of SRAM & MRAM Group. SMEXINDIA will be started in association with Infinite New India Movement under the new banner NEW INDIA & SRAM MRAM FEDERATION. SMEXINDIA will tap into the full potential of the government backed initiatives to create a global market place which will for the first time bring in the Businesses, Governments, Banks, insurance companies, freight and logistics companies, NGO’s, Charity organisations and the consumer all under one roof. The current need is to strengthen the base of the industrial growth pyramid which forms seventy percent of any industrial revolution. The 30% of all the top industries are entirely dependent on the ancillary companies which grow as an offshoot to the bigger industrial players but without whom the larger industries cannot survive or thrive in the current competitive environment. By strengthening the SME sector, we will build a stronger and wider foundation which will be able to weather any storm that may arise in the future by being symbiotic in its approach to growth. Each of the SME sectors can feed off each other thus enabling faster and sustained growth.